It’s June and we are nearly halfway through the year. How are you doing in reaching your sales goals? Depending upon your fiscal year calendar, you are either 120 days or 210 days away from the end of your business year. In either case, now is a good time to take a good, realistic look at how effective your marketing is in terms of helping you reach and convince customers to buy from you. Effective marketing fills up the sales funnel with prospects: members of your target market that have shown an interest in what you produce. 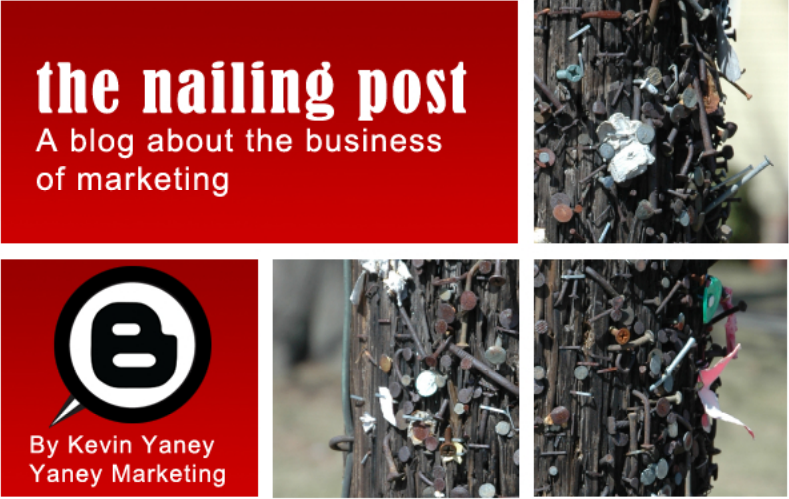 Does your marketing provide interest from prospective customers? If not, it is time to adjust your marketing strategy to provide a regular flow of interested leads. However, if marketing is doing its job and providing the leads, is there a follow up strategy to make contact with them in a timely fashion? You should have a marketing-to-sales process in place to make sure this progression is working like a hand-to-glove. If it’s not functioning that smoothly, now is the time to make those adjustments. It is said that up to 40 percent of business-to-business sales cycles never conclude with either a sale or a rejection – they simply fade away into oblivion due to lack of follow through. Here is a practical application to use in these situations. Every time you start a prospect down the sales cycle and you lose them, record the reason why you lost them. You may find a multitude of problems: you were not competitive on price or quality, you couldn’t deliver when they wanted it, etc. However, if they left you because they lost interest, you have a marketing-to-sales problem. If they lost interest along the way, you have a sales problem. You didn’t keep them engaged. If they never showed any interest from the start, you have a marketing problem. You need to evaluate your marketing methods that gauge interest. In either case, learn the reason prospects are rejecting you and make the adjustment now while you have time to fix the problem and still meet your sales goals. Beyond handing your sales staff leads, marketing also supports efforts to convince people to make a purchase. 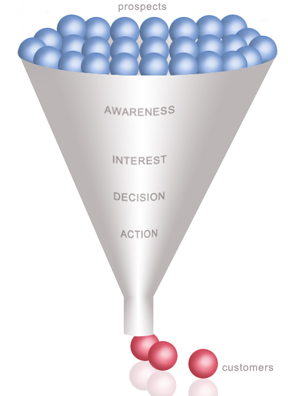 That includes marketing that makes a transition from being aware of your products and services - the types of activities that fill up the sales funnel - to enticing them to make a sale. If your prospects are aware of what you do, but just are not convinced they should buy from you, you need to evaluate your first-time sales marketing. This is where a good strategic plan comes into play – especially one that does a competitive analysis that tells you why someone would buy from your competition and not from you. First time sales marketing will give your prospects the incentive (we call this the "hook” in marketing lingo) to get them past being aware and shifts them into a buying mode. If you are getting stuck in the transition, take a look at what you are doing to entice your customers to the sale and make adjustments if needed. June is a good time to evaluate how effective you are being in these two marketing functions. Doing so will help you reach your sales goals for the year. But don’t wait! The summer is upon us and the year is moving along. Shift your marketing-to-sales strategies to keep your sales on track.